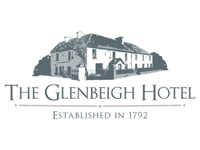 The Glenbeigh Hotel is committed to protecting and respecting your privacy. your full name; your address; your various email addresses; your various phone numbers including mobile phone numbers; your nationality; your address; financial information about you, including your bank account details, credit card details, or other payment details; details of contracts you have entered with third parties for us to provide services to you; details of your relationship to other parties; details of your membership of professional or other organisations; your date of birth; details of your children and other relations; medical details, including details of allergies; details of your car registration number; details of your driving licence; details of your passport and all other Data which you ask us to process on your behalf, or which is necessary for us to process in order for us to fulfil our role as providing accommodation, leisure, retail or food related services to you. Marketing cookies: These cookies track browsing habits and are used to deliver targeted (interest-based) advertising. These cookies may be set through our site by our advertising partners with our permission. They may be used by those companies to build a profile of your interests and show you relevant adverts on other sites. They remember that you have visited a website and this information is shared with other organizations, such as advertisers. They do not store directly personal information but are based on uniquely identifying your browser and internet device. 1.The right to access data relating to you (‘access right’). The controller for the purposes of GDPR is The Glenbeigh Hotel. Questions, comments, requests and complaints regarding this Policy and the information we hold are welcome and should be addressed to us at info@glenbeighotel.com All requests will be dealt with promptly and efficiently.